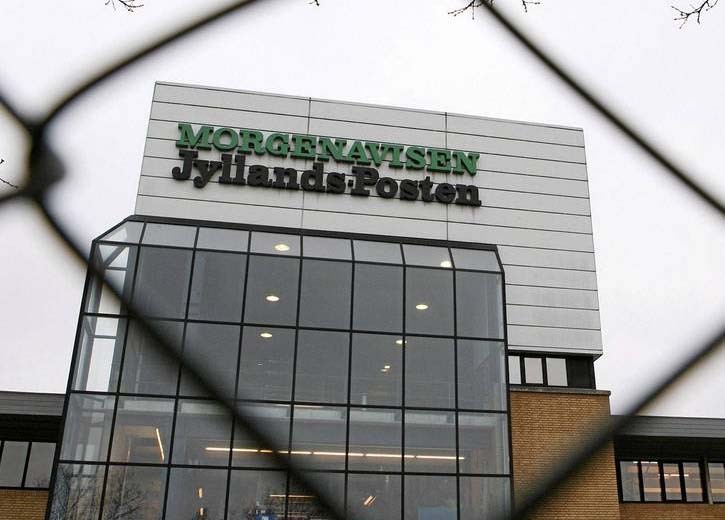 Jylands-posten accuse the Danish government of supporting mass-immigration from the Middle East. The danish daily is mocked by a Conservative daily in Norway. The boldness of this Danish major might lead to an awakeing in Denmark. The Danish newspaper Jyllands-Posten has written two editorials on the faulty values in Muslim communities. The newspaper believes that even if they are born and raised in Europe, they are “never culturally and value added into the European society”. Jylands-Posten claim the Danish culture are better then the cultures of Muslim communities. ” We insist that purr culture and Danish uniqueness are sovereign over the terrorists. But also over the Muslim community at large. Even if the Muslim community to not support terror, but neither back up the Western laws and our system of justice”. Source: The Norwegian newspaper Aftenposten. I have chosen to quote the Danish paper through a supposed to be Norwegian conservative daily. The Norwegian paper chose to mock the Danish free press, and rather support the forces who feels Islam should be equalized with the thousand year old Christian value system of Europe. This display to what extent the Norwegian society has fallen. We see the true dark fruit of indoctrination. The Islamization of Norway is leading this post-Christian kingdom down the path to the gutter. 41 per cent of the Norwegians now say they want Mr. Jonas Gahr Støre as Prime Mimsiter, a man who has worked for the Hamas. This reminds me of the rise of Nazism in Germany. Hitler never got such a high level of support in the elections of 1932 and 1933. I have to rejoice over the Danish press. Eventually the press has stopped distribution governmental propaganda, and rather tell the readers the truth. Let us pray that Jesus the Messiah will protect the Danish children from both Islamism and the indoctrination that takes place in Danish schools. The only logical conclusion we can draw after reading Jylands-Posten, is that an emergency must be declared in Denmark. So that new emergency laws quickly can be implemented, the son of Muhammad stripped of their Danish citizenship, and deported back to their place of origin. Because an Arab named Muhammad promoted violence. The Koran has more than 140 verses that demand that all the followers of Muhammad shall support Jihad. Islam is not a religion, but a very dangerous ideology. A nominal Muslim and at any moment be radicalized. A ticking bomb.